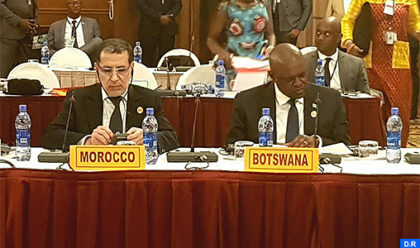 Head of Moroccan Govt, Saad Eddine El Othmani, voiced on Sunday at the 32nd summit of the African Union currently held in Addis Ababa, his country’s willingness to share its successful agricultural experiences with African countries. Addressing a high level session on “Africa Agriculture Transformation Scorecard (AATS), El Othmani underlined the positive results yielded by the “Green Morocco Plan” which has enabled the North African Kingdom to make huge strides in water management, the use of advanced agricultural technologies, agronomy and the promotion of agricultural products. Launched in 2008, the Green Morocco Plan is an agricultural strategy that seeks to make agriculture the main growth engine of the national economy, generating significant benefits in terms of GDP growth, job creation, exports and poverty mitigation. The plan aims to develop an inclusive, diversified and sustainable agriculture that encourages investments, public-private partnerships opening onto foreign markets. The Moroccan delegation taking part in the AU summit is led by Head of Govt and includes Minister of Foreign Affairs Nasser Bourita and Minister Delegate for African Cooperation Mohcine Jazouli.